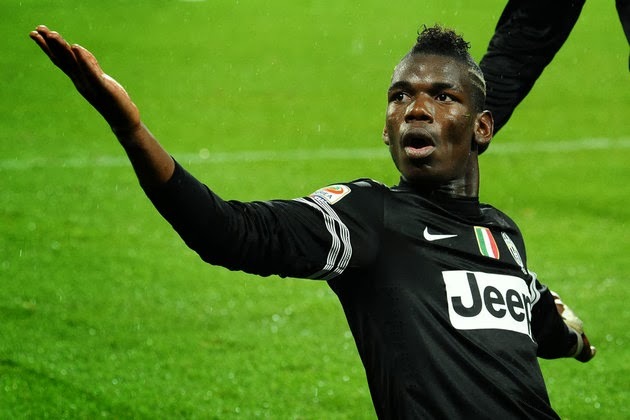 Enko-football: Juventus refused 55 million for Pogba! Juventus refused 55 million for Pogba! Paul Pogba is currently one of the most expensive player in the world. Juve got it for less than a million euros, he has arrived as a free agent, but the compensation paid to United by FIFA regulations. Two and a half years later, the Frenchman is officially the best young player in the world, and as it stands now will not even stay long at Juventus. He wants to stay, but the club will be hard to refuse indecent offer. One already are, "Gazzetta dello Sport" reveals that Paris Saint Germain, the club from Pogbas hometown sent a bid of 55 million, which was rejected. The reason is of course that Juventus did not want to give it up on the winter, and have notice that will in the race for Pogba enter Bayern and Real. It implies a new rising prices, it is estimated that in the summer of Parisians offer 70 million euros for so many would Juventus reportedly let fantastic midfielder. Meanwhile, Pogba will sign a new contract with Juventus until 2017th year, which would have brought 4 million per season. He was not particularly motivated to go, believes that Juventus excellent develops, but if the club asks wants to earn and with that money goes to the reconstruction of the team. The Juventus inclined to from Paris St Germain asks Marko Verati as the "change", and the imperative to attack _ football players per side, because the aim of Antonio Conte to try to change the formation, because he believes that the club passed more successful in Europe.